"Daniel Frisa has the distinction as being the only member elected in 1994 who ousted a Republican incumbent; he is a Republican himself, and did the ousting in the primary. The victim was David Levy, who won the seat just two years before. Behind the contest is a story of rivalry and and feuding within the once-monolithic Nassau County Republican organization." "In 1992, when Republican Raymond McGrath decided to retire...Frisa claimed to have been promised the backing of the organization, but county party chairman Joseph Mondello endorsed Levy, suggesting that Frisa was a tool of the previous party chairman, Joseph Margiotta. Levy won the primary by on 53%-41%, and then had a close race against Democrat Philip Schilir, a Long Island native and top aide to California congressman Henry Waxman. Levy was outspent and won by 50%-46%." In 1993, Frisa bolted the party to endorse the Democratic candidate for Nassau County Executive. 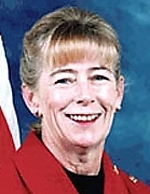 Frisa entered the 1994 Republican primary and with more hard work than media attention or flair, upset Levy in the primary, winning by 276 votes. Recounts narrowed the win to 54, and Levy sued. Levy failed to overturn the results, and simply stopped campaigning despite his name remaining on the ballot on the Conservative line. Sensing a pick-up opportunity, Dems gave their nominee (Ferne M. Steckler) a Judgeship to get him off the ballot in favor of the more electable Schiliro (the same man who lost to Levy in 1992). Schiliro out raised Frisa by about 2:1, but Frisa was an outsider in an outsider's year.